we will bring DANCE to your life! Honored in regional and national dance competitions as well as receiving numerous awards since 1986. 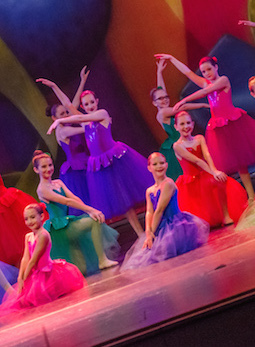 Dancers will study the fundamentals of ballet, tap, dance terminology, and basic motor skills. When I met Grayce, she gave me the training I needed and led me in the right direction to become a professional dancer. Thank You, Grayce, for giving me the push I needed. Grayce DeWitt Dance Studio will always be my home! "Dreams do come true at Grayce DeWitt's.......mine did"
World-renowned Dancer, Choreographer, Director "Hollywood Dance Jamz"
After attending the University of Kentucky, I joined my Aunt spending six years as a teacher and choreographer. 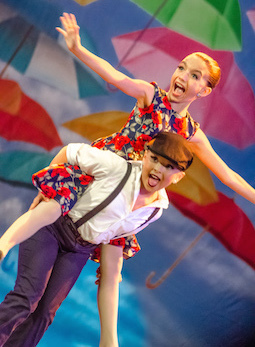 In 1992, I returned to Lexington and opened Gotta Dance Studio, Inc. As an accredited member of Dance Educators of America and Dance Masters of America, I have developed a unique preschool program and competition team. I know teaching at GDDS contributed to my success and am thankful for the opportunity to have worked with the studio. My dance education at GDDS has enabled me to do many things, from teaching to choreographing to performing. As a classically trained ballet dancer, my move to the Grayce DeWitt Studio allowed me to learn something that I had not learned thus far... how to entertain. You can make a living as a dancer, and Grayce helped me see that was possible! Carrie began dancing at the age of five. She has studied ballet, tap, acro, jazz and hip hop. Carrie began assistant teaching at the age of 16. She was a DANCE est Joie company performer for several years. Carrie won TalentFest, AR/OK Fair Talent Competitions, and was the talent winner in multiple local and state pageants. She was a member of the Arkansas Razorback Pom Squad. She has performed in shows with local musician, Don Bailey. She has three sons, Case, Colt Daniel and Cash. She also works at ArcBest as a senior financial analyst. 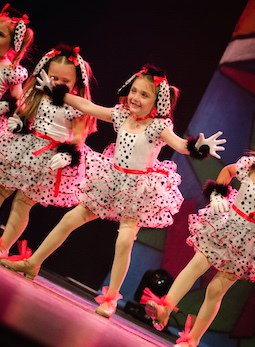 Grayce DeWitt Dance Studio is a professional dance studio for instruction and performance. All instructors are professionally trained and belong to various dance organizations. All instructors have a love of teaching and want to share the joy of dance with children and adults.